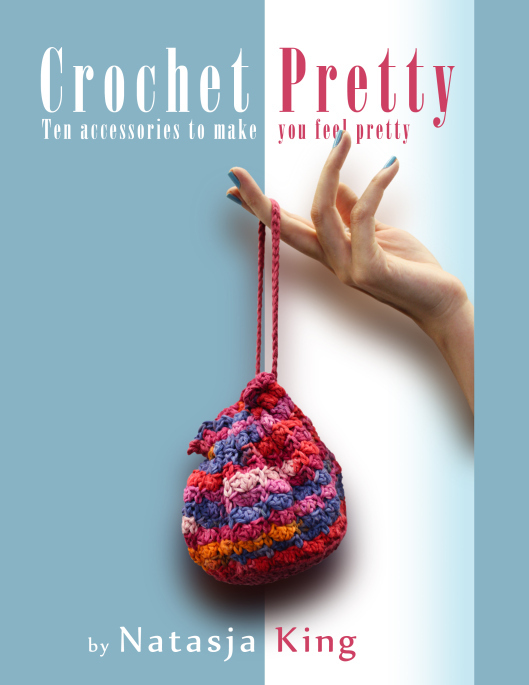 Posted by Natasja in GIF, My crochet, Pattern, Ta-daah! It’s all about the sea “c” today in this Circular Coastal Colours Cushion blogpost. Sea See what I did there? You sea see, *okay, I’m stopping now* Lynn Holland asked me to make her a 12 inch round cushion in coastal colours after seeing *told you I’d stop* my square cushions. 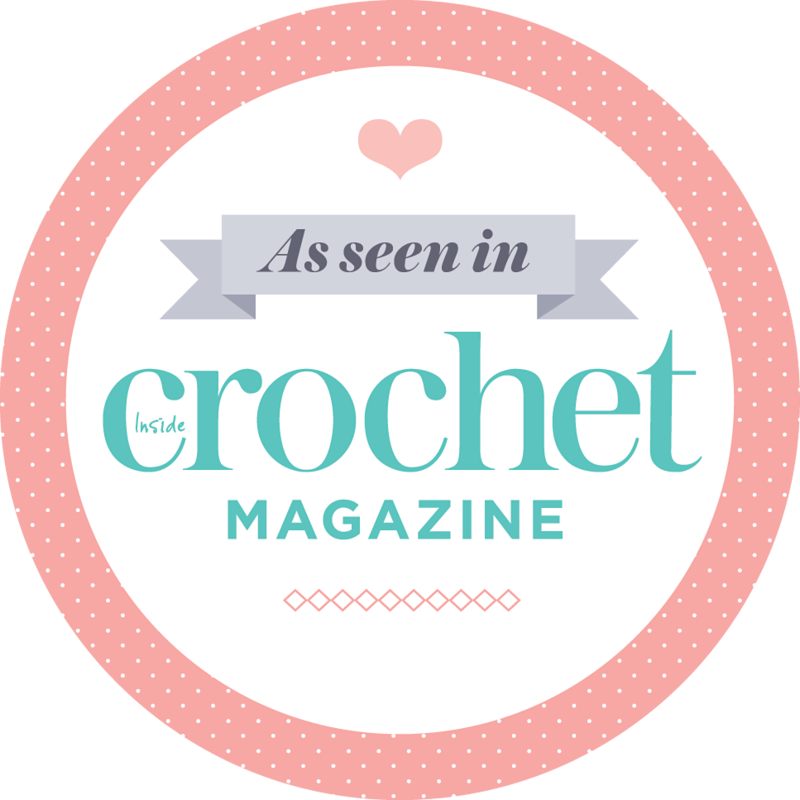 I’ve always wanted to make a round cushion, but now that our home is full of crochet things I dont’ think my dear husband would survive another crochet cushion venture of our own… I therefore jumped at the opportunity to hook something round and cushiony, even if it is for someone else. I sent Lynn a couple of photos and links to round cushion patterns, and she decided on the back of Lucy at Attic24’s Blooming Flower cushion. That’s exactly what I would have chosen if I had made the cushion for myself! I already had yarn in coastal shades in my (huge) stash of Stylecraft Special DK that was left over from the Identity Crisis blanket. That meant all I had to buy was the duck feather inner. I bought a 14 inch inner (two inches bigger than the crochet so that it would be nice and puffy) from Design-a-Cushions. If you live in the UK, I highly recommend this company for cushion inners. So here it is. 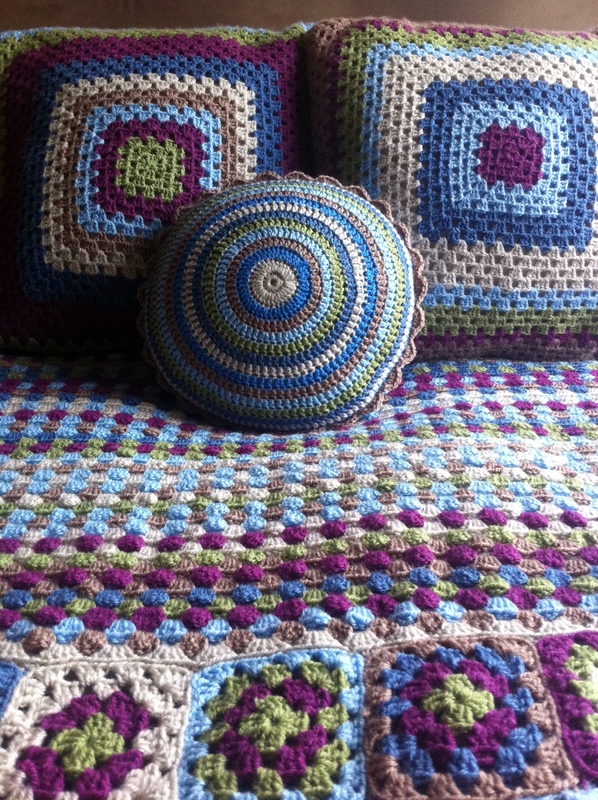 Lynn’s circular coastal colours cushion! Ta-daaaaah! From this GIF you can see that the front and the back is different. I did the side with the green stripes first, and then realised it looked a bit dark, so the other side has no green and more white and light blue. It’s amazing the difference one colour can make don’t you think? Of course I had to put the cushion on our bed with the granny square cushions and Identity Crisis blanket. It looks soooo good! As of 12:45 today the cushion is on its way to its new home. I really enjoyed our time together but I’m sure it will be very welcome and loved in its new home. Thanks Mo. Did you so that Creative PIxie also used Design-a-cushions and were happy with them, so there’s another recommendation. Lovely Natasja and you did the joining of colours so well. Thanks Gerlene. Sarah London’s method rocks! I love the colours…and your identity crisis blanket, really nice.